Recurring Payments: Recurring payments of Recovery Library Membership subscriptions automatically renew on a monthly, semi-annual, or annual basis depending on the Membership Plan you choose. You may cancel your subscription to the Recovery Library at any point and future payments will be stopped. 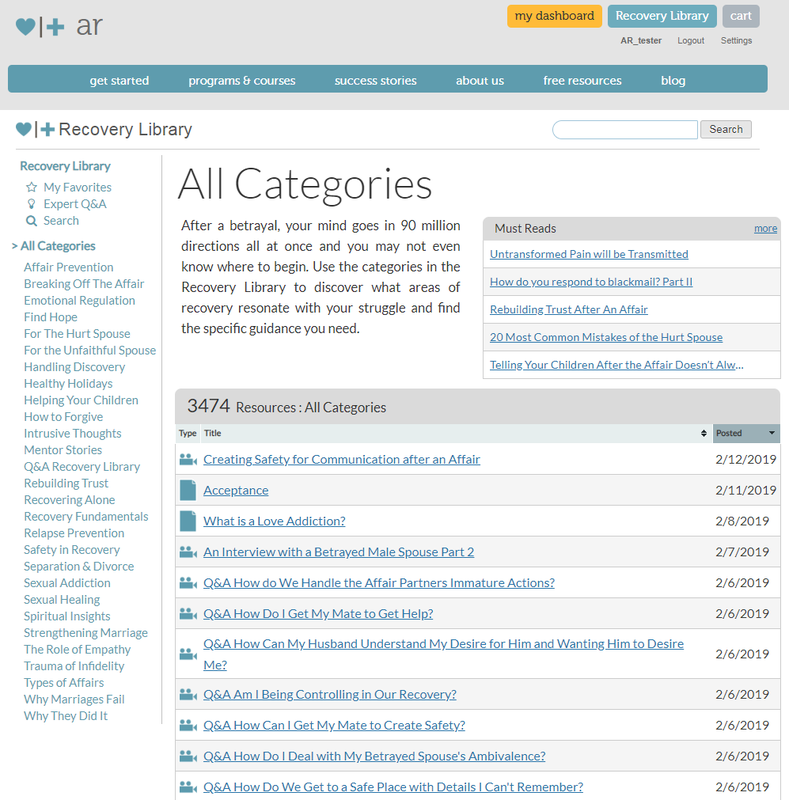 Once cancelled, you will continue to have access to the Recovery Library until the end of your current billing period. 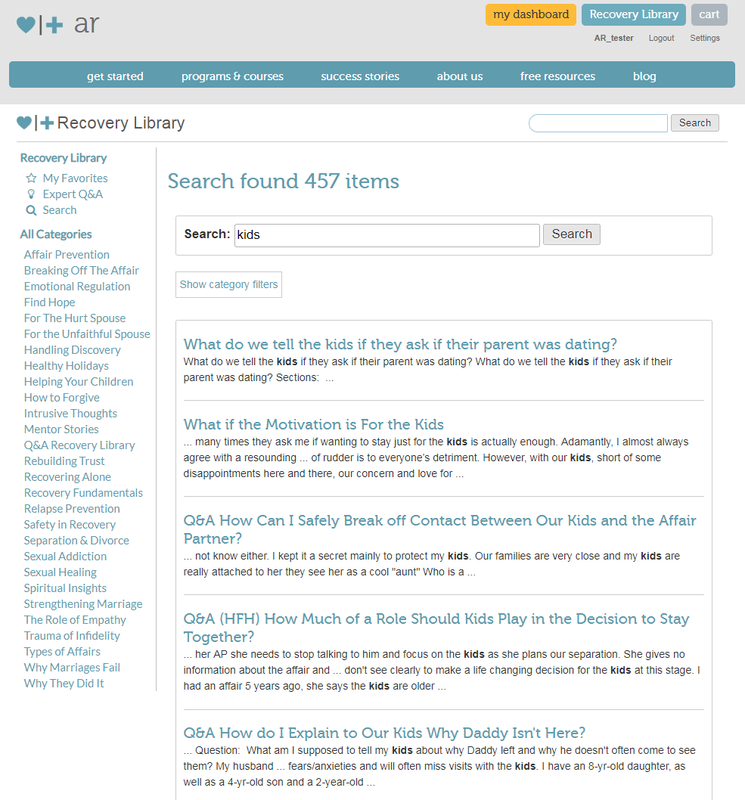 Disclaimer: A Recovery Library Membership is not counseling nor is it a substitute for counseling. It is a self-paced, self-directed resource. If you need professional counseling, please seek a licensed professional in your area. 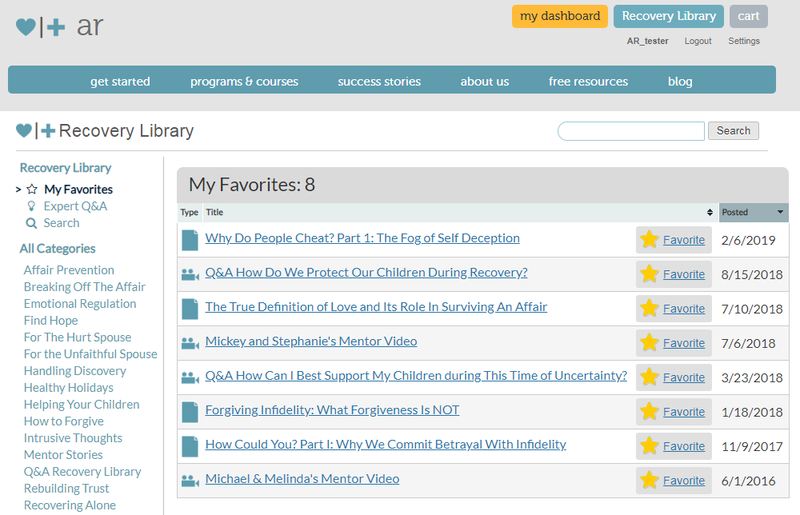 We've got a great collection of articles, videos, and newsletters available about betrayal, infidelity, forgiveness and recovery.